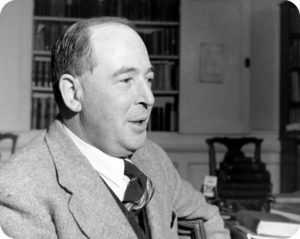 C. S. Lewis’s “Meditation on the Third Commandment” is one of his essays I’ve used in my Lewis class because I include in the class some of his commentary on politics and government. 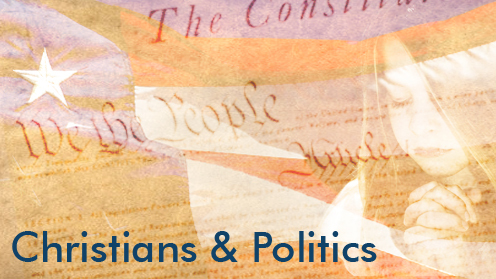 He gives the essay this title because of his concern that Christians not take the name of the Lord in vain when we are involved in politics. Although Lewis repeatedly said he wasn’t interested in politics, his writings belie that to some degree. He was definitely concerned about good government (his letters to Americans testify to that) and about how Christians should conduct themselves in the public sphere. He wrote this essay to an Anglican newspaper called The Guardian in response to letters written to the paper by Christians who were advocating for the establishment of a Christian political party. Lewis’s first point is that Christians disagree on some matters of public policy, so no one party could possibly incorporate all Christians’ views on government policy. It would turn into merely a subset of Christians who presume to speak for all, a group he called “schismatics blasphemously claiming to represent” Christianity. “So all it comes down to is pestering M.P.’s with letters?” Yes: just that. I think such pestering combines the dove and the serpent. I think it means a world where parties have to take care not to alienate Christians, instead of a world where Christians have to be “loyal” to infidel parties. I agree. My “loyalty,” as such, is not to a party but to Biblical principles. Those principles lead me to support one party over another, but they also constrain me: I cannot place all confidence in a political party. Neither can I blindly proclaim loyalty when that party does things that blatantly contradict those principles. But I had forgotten. There is a third way—by becoming a majority. He who converts his neighbour has performed the most practical Christian-political act of all. Again, I agree. Our primary calling from God is the Great Commission. Yet I’m concerned that some Christians hide behind this, believing that they therefore don’t have to care much about politics and government. They also might think they have no obligation to change the culture but should concentrate solely on individual salvation. We need to keep in mind, though, that when enough individuals are touched by God’s grace, the culture is touched also. I think it’s incumbent upon Christians to do whatever we can to challenge anti-Christian trends in the culture. There’s no valid reason that I can see in Scripture for neglecting the culture as a whole. After all, didn’t Jesus tell us we are salt and light? We can do both: seek the salvation of individuals while simultaneously persuading others of the need for a more Biblical culture. Indeed, we ought to do both. That, I think, is what Lewis was saying.